San Francisco, CA, December 19, 2017	(Newswire.com) - Metadata (http://www.metadata.io), the patented platform for closed loop account based marketing, is helping B2B technology companies generate sales pipeline and close net new business while providing them with an automated platform that generates demand among their ideal customers. The Metadata platform is powering account based marketing campaigns at leading B2B technology firms including Nutanix, Cisco, Mulesoft, Tipalti, Infoblox and many others. In 2017, Metadata increased revenue by more than 400% and processed 20x the media spend over the previous year. Earlier in 2017, Metadata was awarded a patent for its methods that generate ideal, opt-in business leads using highly targeted advertising campaigns. The patent, US9665885B1, was the first awarded to Metadata, representing a significant milestone for the company. More IP has been issued since. Metadata continues to build upon its ecosystem of complementary technology, data, and advertising channel partners. Leading engagement marketing platform provider Marketo® recently announced that Metadata has joined the Marketo Accelerate ecosystem, the MarTech industry's first partner accelerator. "Metadata is excited to be partnering with Marketo, the worldwide leader in engagement marketing,” said Gil Allouche. “Our smart integration enables Marketo clients to access the largest B2B prospect database of segmentation and multivariate advertising capabilities, allowing them to execute true closed-loop account-based marketing programs at scale." Metadata this year also announced the release of its self-service platform, and partnerships and integrations with leading B2B technology firms and data providers like InsideView, Kickfire, and HG Data; social advertising channels such as LinkedIn, Facebook, Instagram and Pinterest; and demand-side platforms (DSPs) AppNexus, MediaMath, and The Trade Desk. Metadata was also recently awarded membership on the Red Herring Top 100 Global list for 2017 in recognition of its vision, drive, and innovation. Since 2015, Metadata’s mission is to free B2B marketing teams from manual marketing ops work, employing an artificial intelligence (AI) operator that uses automated, multivariate experimentation to provide a predictable and scalable flow of leads and accelerate pipeline growth. Metadata provides a closed-loop Account Based Marketing solution that amplifies marketing campaigns with opt-in qualified leads. Metadata's patented technology uses and enriches historical sales data, builds profiles of ideal customers (both company and persona) and then orchestrates the process of accelerating existing opportunities and targeting net new accounts. Metadata clients include Nutanix, Cisco, Mulesoft, Payscale, Infoblox and others. 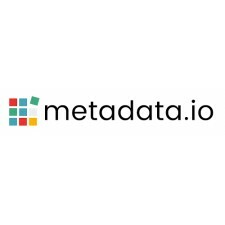 For more information about Metadata, visit www.metadata.io.